The 2018 New York Auto Show was all about consumer vehicles, and one of the major highlights of the show was the 2019 Toyota RAV4, and it looks ready to challenge Chevrolet’s hot-selling Equinox. 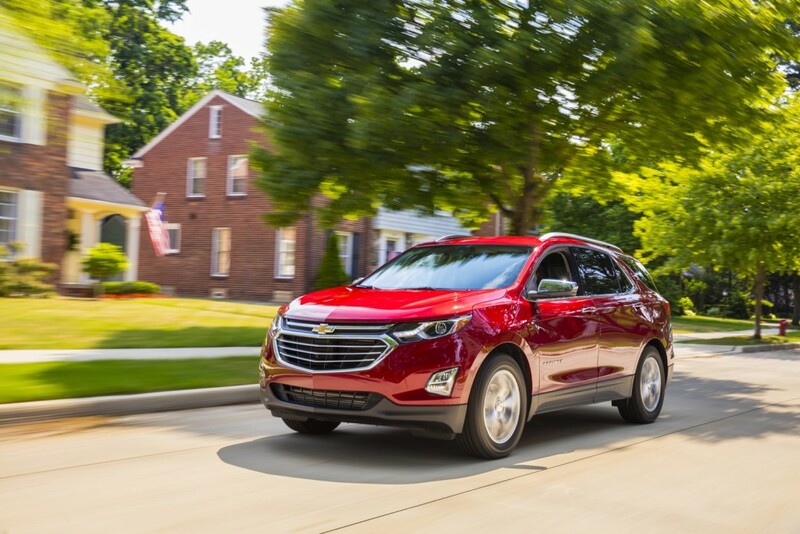 With the 2018 Chevrolet Equinox, Chevy positioned the crossover at the heart of the compact segment, which means the RAV4 is one of its most direct rivals. And the 2019 RAV4 comes equipped with rugged looks to help differentiate itself. It’s a trend we’re beginning to see in the industry at large, as consumers move to crossovers, automakers are doing their best to make them look more like rugged SUVs with more square profiles. We think the RAV4 pulls this off, though the rear design is pretty similar to the 2018 Equinox. The front fascia is where the RAV4 gets most-rugged with a 4Runner-esque nose. It has a more brutish stance than the Equinox, which exudes a more family-friendly look in general. Powering the RAV4 is a 2.5-liter four-cylinder engine paired to an eight-speed automatic transmission, though Toyota did not disclose power or efficiency figures. The RAV4 Hybrid will also return. In contrast, Chevrolet offers three engine options for its compact crossover: a 1.5-liter turbocharged four-cylinder, a 2.0-liter turbocharged four-cylinder and a 1.6-liter turbodiesel engine. The latter is the most direct rival to the RAV4 Hybrid and banks on fuel economy as its differentiator with 39 MPG highway. We expect Chevrolet to show a handful of refreshed models very soon, but the Equinox likely won’t be one of them. Meanwhile, the current Equinox will have to fend off fresh new competition from Toyota. GM will be making certain advanced safety features standard on 2019 MY vehicles. Nothing will be altered this year. We still have the safest, most efficient vehicles in their classes. Also no one else offers a safety, and security system as integrated, and advanced as OnStar. Most people don’t even understand what OnStar is. There has never been any clear advertising or promotion about exactly what OnStar does. I have owned 4 GM vehicles and never used it. Never use it in a GM rental car either. I figure it will cost money to talk to someone. GM is not a leader in safety features. Sounds like the Equniox should be blowing doors off the Rav4 in sales…Perhaps OnStar is too advanced? People understand Onstar. But most see it as a waste as 90% of what it can do your Smart Phone will do. Why pay twice? I just don’t see the Nox as butch. Now do a AT4 Terrain and you may just have something. OnStar is pretty expensive too. cheapest plan is $20 a month (and who knows what your bill would be after taxes, FCC chargeres, ect). The $35 a month plan, the most expensive, doesn’t even give you Wi-Fi; its extra. As scott3 says, a smartphone gives you 90% of the onstar functionality in one way or another. Yes, but the Equinox comes with better brakes. Some of these safety features are more annoying than helpful but Chevy should at least offer them on the base trims and make it std and defeatable on the upper trims. As for the Rav 4 is looks like they cribbedsome styling from Jeep and as with the new Cadillac XT4 I’m not crazy about the black exterior plastic on the door bottoms, along the wheel wells and on the front and rear bumpers. It never ceases to amaze me how the current generation Rav 4 is such a strong seller. It really does nothing well, is rather noisy ot ride in, has much cheap hard interior plastic, offers no performance variant and is generally very boring to drive. The fact that the majority of my rentals the past few years have been Rav 4’s and Rogues is telling. I think this new Rav4 looks like a mess, but the Equinox is the most boring looking vehicle in its class, inside and out. The Hyundai Tuscon and Mazda CX-5 are by far the most attractive crossovers in this segment. 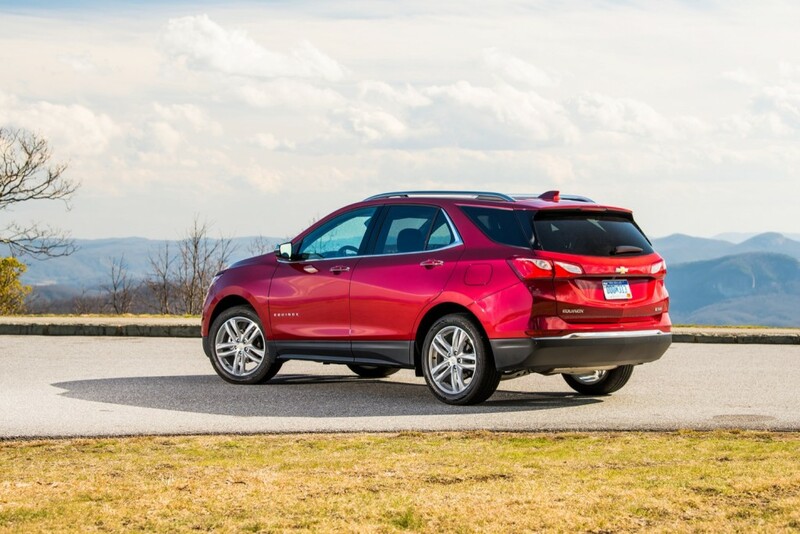 Equinox is one of Chevrolet’s better efforts. It reminds me of Encore, and employs optical tricks making the CUV appear larger than it actually is. Equinox almost reminds me of the efforts made by Jeep to be more “fun” a la Renegade. Mazda design is always great so we agree here. Tuscan is also nice appearing more high end than one would expect. It seems that more consumers now want a fun crossover to drive , and even in this segment want something more than an appliance . Thats asking a lot for this price point but this sounds like a continuing trend . The one example is the Maxda CX-5 , it has a decent upscale look on the interior and with the Sky Active system people say it is actually fun to drive . The RAV4 being a Toyota will do well because of what is offered in terms of safety features and quality of the brand . The Equinox just looks like Chevy didn’t go far enough in the design , its nice but nothing that really stands out in that crowded field . FNR-X will be a Chevrolet Crossover BEV-Plug-in, with there new styling, once it replaces these Chevrolet volt. So now (mid-size) crossover’s styling is boring we the people wanted race inspired crossover’s with 700 horsepower we wanted to have fun, we wanted to race up and down these street, and run into things and hurt ourselves. Please! !, what do think a crossover is made for ? FNR-X concept, is what Chevrolet crossover will look in these future, soon. They already show it in electric form. It’s kinda unoriginal that Toyota decides to design a RAV4 that looks like the Jeep Cherokee. Everything about this RAV4 looks like a Jeep Cherokee to me and at Toyota they don’t even offer a stronger engine besides the hybrid. But hey, whatever it takes to sell more vehicles right? Not so much. The new RAV4 follows the angular design queues of the 2014 Lexus NX and 2015 Lexus RX. 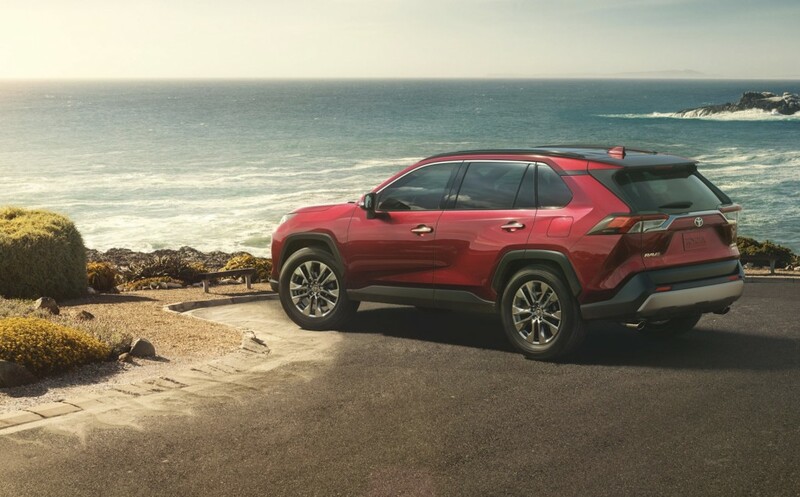 The Cherokee’s design language is not very angular, and instead is egglike and ovoid; like the old Lexus RX and outgoing RAV4, not angular like the new Lexus cousins and upcoming RAV4. Looks like Fiat Chrysler copied styling from a 6 year old Toyota design; a design Toyota abandoned in favor of a more angular iteration. Take heart though. Almost certainly the 2020 Jeep Cherokee will feature angular design language again lifted from Lexus. At least they borrow from the best. The Toyota is WAYYY better looking than the ‘nox. But China Motors had to design it to appeal to their home country. Not sure how the best selling SUV in the world, and the best selling Toyota vehicle period, could be “gunning” for the Equinox which is an “also ran” in the category. Number one doesn’t “gun for” number 4. In fact, number one scarcely knows that number 4 exists, much like consumers who also don’t know number four exists. In the Olympics there’s no 4th place medal for a reason. Chevy can’t even displace the aging Escape. It gets stomped in sales numbers by leaders RAV4 and CR-V. A new RAV4 will only make Chevy’s struggle for relevance in the class harder. The Equinox, like too many of GM’s mainstream products, takes a middle-of-the-road approach. It doesn’t stand out in any way. In pictures, it looks nicely sculpted. In reality, it’s slab-sided with weird creases that have very little draw depth and weirdly squared-off rear corners. Most of them are LT models with the plainest looking wheel design in the industry. It’s just a snooze. Look at the wheel designs and finishes the competition offers, along with more daring styling overall. We have a siren red 2016 Equinox and still think it’s far more attractive than the new one. Toyota should not be allowed in Canada or USA. keep them in J A P A N or China.. But that could said the same for Fusion, Escape, Accord, CRV right?